Several months ago while I was visiting my parents, my Mom showed me her Blendtec blender. I was immediately smitten. It was unlike any blender I’d ever seen. I guess you could say I geeked out over this blender. I got to work with making this easy Peanut Butter Banana Muffin Recipe right away. When my Blendtec arrived I was so excited to whip up all kinds of recipes. Sure you can make a mean smoothie in it, but how about a 5 ingredient muffin recipe? It took 23 seconds to blend up the 5 ingredients for my muffins. Other things I love about my new love bug- it’s quiet, it can blend ANYTHING, easy clean up, it’s light… I could keep going on and on. I got this recipe from Mom on a Mission. It’s ridiculously easy, items that you most likely have on hand and bonus- it’s healthy! No added sugar and junk. It’s also flourless and gluten free. Win/win! I made a version with added dark chocolate chips for my family and some mini muffins for me. These Blender Peanut Butter Banana Muffins are ridiculously easy, made with items that you most likely have on hand and bonus - they’re healthy! 2 tbsp honey optional, but I added it! Place ingredients in the blender and blend until well mixed. Pour batter into muffin tin greased with cooking spray or coconut oil. Add a variety of toppings into each muffin spot and stir. Cooking time varies - 9 minutes for regular muffins for me, 8 minutes for mini muffins. For this recipe, you can substitute different kinds of nut butters if you are allergic to peanut butter. Try out almond butter or sun butter. They also taste great! When I made the mini muffins it occurred to me that I could package those little bad boys up and make my own mini muffin packets. I’ve bought the packets at the store that my kids love but they can get pricey. These are inexpensive and take less time to make and package than it would take to get in my car and drive to the store to purchase them. I couldn’t help but put them in a cute little chevron bag but a ziploc would be fine too. How many calories are in one muffin? I tried to do a calorie count and it said 168? Can I put pumpkin in these? Any idea how much? you make this sound so wonderful you would be fool not to get one, but i see no place to order one or the price. I never win anything so tell me how I can order one or two Christmas is just around the corner. My blender broke. It caught fire. So I would love to have a new one. I love a good blender! I cant wait to make this recipe you posted. Gluten free too! Thx for the great ideas! I would love a blendtec……my daughter is so picky and this would be a great way to sneak in vegetables!! A blendertec would be so amazing!! I would love to do some juicing in it and make these muffins for sure!! I made these muffins this afternoon – they taste FANTASTIC!! Great recipe, great share, thanks. I think I’ll try them with almond butter next time and see how that comes out. They did stick a lot to my muffin pan though – I sprayed and sprayed it but still they stuck. Did you have that problem? I just used regular pan spray – maybe next time I’ll try with the flour pan spray and see how that works. I just made them in silicone muffin containers with no issues, but they took 14 min at 400 instead of 9. One batch makes 12 muffins.
. Can’t wait to try muffins. These muffins are great! I used my Magic Bullet instead of the Blendtec and that worked out too. I love how it’s pretty healthy but doesn’t lack any flavor or sweetness. Hi, how many mini-muffins does this recipe usually make? Can I make double the batter in a blender and 1 time, or should I make 2 batches of batter separately? These really are pretty awesome! Thanks for sharing. My girls loved them. Great Paleo recipe. Will definately try. These really look good. Wish you had dated your post then I would have known it was too late to look for the widget (which I’m not sure what that is). Thanks for the recipe anyway. I would make smoothies, muffins, rice cauliflower etc. anything!!! I would love to win this!! Those muffins and milkshakes, smoothies. yummmy! I see the giveaway already occurred but wanted to say I too got introduced to the blendtec by my mother . Someday I will own one(: it’s the only blended I’ve found that I can add kale to and it will chop it to a smooth consistency. Kids don’t even know what their getting!! I love that you can make soup and ice cream in the same machine. Did you know it’s the blender of choice for Starbucks? Ps I just found your site and am loving it so far!! 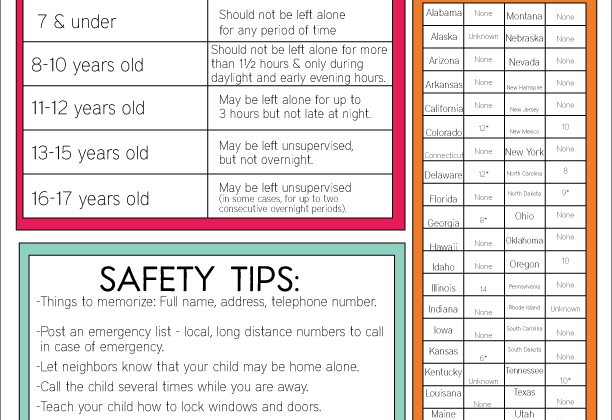 Thanks for the inspiration, printables and recipes!!! Would love to make the muffins and batter! I can’t wait to try these muffins for my daughter, she can’t have wheat. I would make smoothies every day! This recipe is AWESOME! The preparation was so easy with simple ingredients that are in my pantry. My family loves these muffins. Now I have to figure out a way to stop them from popping one in their mouths every time they walk past the kitchen. Would absolutely love one of these blenders, I have a Oster, walmart special which is on it’s last legs (it took all of a year) and I really need one. everyone in my house loves muffins. 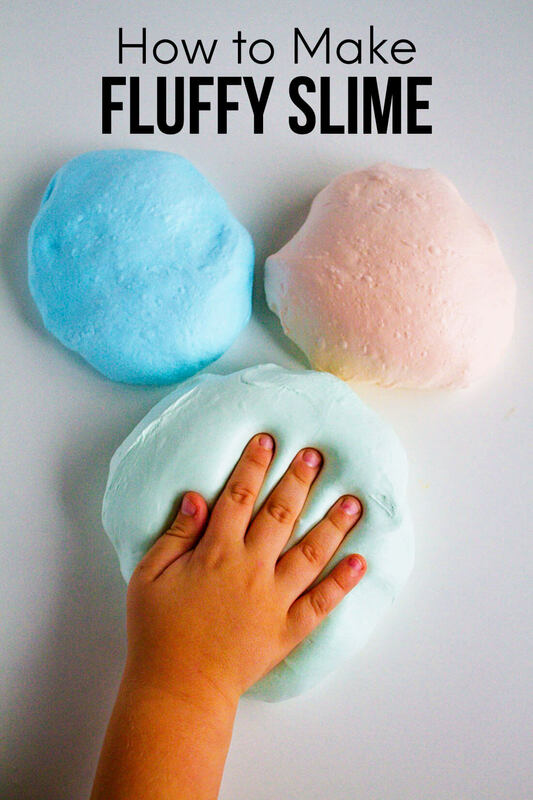 It would be wonderful to be able to make them so quickly and easily. Definitely try to make muffins. I would make delicious nutritious homemade nut and seed milks for sure! I would LOVE this blender!!! The Blendtec is on my christmas list. I could make quick omelets and these yummy muffins and smoothies, oh the possiblities. Not only does this look like an awesome blender, but this recipe is flourless! I can’t wait to try this! Smoothies and those muffins look amazing!! I have been coveting a Blendtec forever! I would make smoothies every day! And these muffins…wow…so easy! im not.gonna lie, I could.make.a fantastic frozen margarita with this bad boy. however, these muffins could be my first recipe I would try in this blender. im craving pb banana muffins as I type- yum! I’d make soup!! Quick and easy! I’ve been wanting a Blendtec FOREVER!!! What an awesome giveaway!!! Green smoothies, my blender is leaving us!! I would make muffins, soups, and smoothies! I would love to make salsa and smoothies with this Bendtec. Since my daughter doesn’t like many fruits and veggies, we make a lot of smoothies. I would love to win thus Blendtec to get my family on a healthy start with some green smoothies. Smoothies for me and muffins for my daughter. I will be making a lot of smoothies. Smoothies! I love them super thick and I keep burning out the motor on cheap blenders! Smoothies, smoothies, and more smoothies! I hate making them in my current blender. I would love to make almond butter in a Blendtec! Those muffins look yummy! I would make cookies and cream milkshakes for the gang! Protein shakes, soups, and I would definitely try those mini muffins! Yum! Healthy and yummy smoothies, ice cream, and pancakes. I would make smoothies and try some soup first. oooh i so want to make those muffins, and some smoothies and soups and …… so many many things. Love your blog btw! The above recipe, smoothies, coffee drinks, adult beverages, soups etc…. I would use it to make soups! Soup! I love super creamy soup all winter long. Yum. Those muffins look good. Oh! Lets see what else… Smoothies, pesto, salad dressing, more muffins, more sop, margaritas, apple sauce… So many options!! I have been begging for an awesome blender for 2 years now! I make daily smoothies and my blender is old and cheap and takes forever! I would also love to try some new recipes! Who knew you could make blender muffins?!?! Awesome. Smoothies!!!!!! I want one soo bad!! i think i would make everything…smoothies, salad dressings and marinades, muffins, soups, etc. love this giveaway!! thanks! I would love to make old fashioned chocolate malts for my kids the way my mom use to for my siblings and I when I was young. Unfortunately, the motor in my old KitchenAid blender is so weak it could never even handle ice cream! I would love to make more green smoothies! They seem like a great way to start the day, but my current piece of junk blender takes forever to make them. Smoothies are super yummy in the Blendtec. My blender kicked the bucket a few weeks ago, and I would GIVE ANYTHING to make a yummy smoothie!!! I’d make smoothies first — then I would try muffins! I would love to make smoothies, salsa and those muffins look delicious! So many options! I would love to make something with pumpkin… or everything with pumpkin. Maybe a pumpkin smoothie, some pumpkin bread – heck, maybe I’ll attempt pumpkin ice cream! I would make smoothies, muffins, pancakes & pesto! I would love to make smoothies and try out the muffin recipe. I’d like to use it for lots of things – smoothies, pancake batter, pumpkin, etc! Thanks! I would make my morning protein shakes with this! I love using my sister’s to make green smoothies. I want to try soups. But really I would use it more often than not! I would make smoothies and sauces! 5 Ingredient Blendtec Blender Peanut Butter Banana Muffins of course! I would love to make a banana malt! I would love to make smoothies! I used to make them with spinach and I was so healthy. I’d love to get back to drinking my fruits and veggies! Yum. So excited that you can make more than smoothies in here though! I will definitely be trying these muffins if I win. muffins, smoothies, salsa, soups, and everything else under the sun that I can dream up! Let’s start with these muffins…and anything like them! They sound amazing! I’d love to make some smoothies. YUM!! I love making salsa’s and sweedish pancake batter in blenders.. I want to make lots of smoothies with my new Blendtec! I will make no tomato …nomato sauce. It takes like the real thing. I would definitely be making more smoothies in the morning!! I would make salsa all day :) I had the BEST made in a one! I would make my protein pancakes with it and then those amazing looking muffins. I’d start making smoothies for Breakfast! I’m horrible at eating every morning so I think this little wonder would help out tremendously !! My daily shake (I seriously need something that can blend up ice!! ), and I’d also like to try out some ‘blended’ soups. I would love to try this banana muffin recipe! I want to make healthy smoothies with fresh fruit and yogurt. I love doing smoothies, and occasionally pancakes or muffins. I would start with the muffins you showed!! But I would love to start making smoothies as after-school snacks. 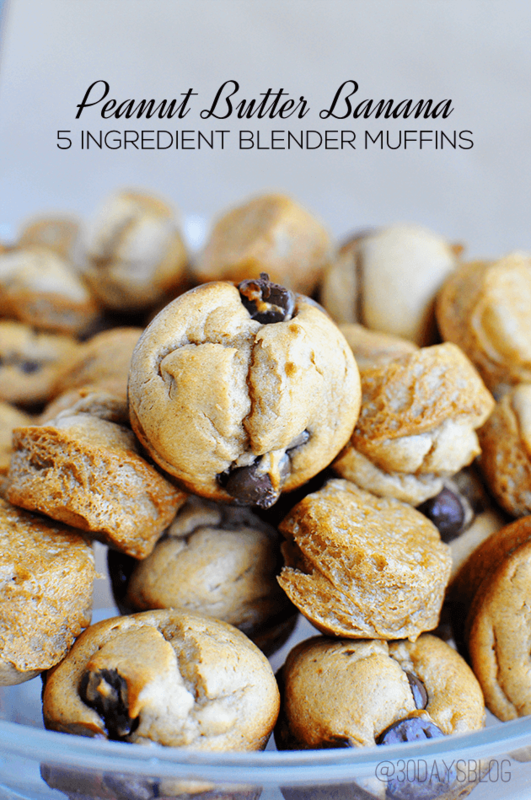 I am loving these muffin recipes and would LOVE to try them in this new blender!!! I think the whole family would love them. Thanks! I would make these muffins! They look delicious! What wouldn’t I try? I think the possibilities are endless… But I’d definitely make smoothies, soup, and salsa to start! I want to make smoothies as well as those muffins. Though I doubt I will be waiting for the competition to end to make those muffins. They will likely be made today! id love to make smoothies! Smoothies of all types! But those muffins look great too. Had no idea you could use the Blendtec to make muffins. Pretty cool. There are so many things I want to use this blender to make. Every morning I make a smoothie with nuts, fruits, and almond milk, so this is one thing. I also have some recipes I’m anxious to try with this blender too. My husband and I are buying our first home soon and I would love to get up and whip up some fresh, green smoothies in this sleek-looking Blendtec to kickstart the day. What a delightful machine! ~To start, I’d make your beautiful muffins…and of course smoothies and frozen peach margaritas. I would definitely make those muffins. They look yummy!!!! Smoothies, of course, and soups, sauces, salsa… My son is a picky eater, so it’d be great to have a high-quality blender to sneak more healthy ingredients into his food. :) And I’ve watched the demonstrations on these things–you can make all sorts of delicious foods in a good blender. Thanks! Many things I would love to try but these muffins would be awesome. I love to make a variety of soups, muffins, smoothies! Let’s face it – you can make anything with a great blender! I would love to make smoothies!! Who would have thought you could make muffins in a blender. I think I would try that first. I would love this, I don’t have a blender right now and this one looks amazing. Those muffins look fantastic. I think I’d have to make those muffins and maybe use it to make homemade soups and smoothies. I’m in the process of dropping processed foods and eating a more paleo like diet, so this blender will get a real workout in my future. Smoothies, soups, and nut milks would be made daily at this house! Oh, how I would love this. Your muffins!! Smoothies, pnb soup…lots!! I’ve recently changed my life by going gluten free! I would love the BlendTec for a lot of reasons but my biggest one is to make my own GF flours, almond milk and GF sauces like hummus, pesto and tzatzikii! Going GF isn’t always cheap, but the healthy way I feel is priceless. Saving money by making my own GF would be amazing! I would use it for anything and everything I could but definitely to make green smoothies for the family . I would make a smoothee. I would make all things gluten free! I would make everything from smoothies to soups. I’m a student that loves to cook but has no time, so I would make so many things with this! These muffins sound awesome, and I love smoothies! I would make anything and everything with it! I love smoothies but the blender we have currently just isn’t cutting it. I also use my food processer a lot for baked goods, which is currently broken, and the Blendtec looks like it would do a much better job anyway! I would love a Blendtec! I would make alot more smoothies!!! I wouldn’t have to worry about them being blennded with this amazing blender I know they would be. I would try making Peanut butter! I’d like to make nut milk & raw soups. :)) Along with many other things. Your muffins sound delicious! I’d also make smoothies and a whole bunch of other things…I don’t currently have a working blender and I would love to have one! I need this to make my protein drinks. Thank you. I would LOVE to make my favorite peanut butter, banana, oats, cinnamon and protein smoothie! I bet it would come out amazing in that blender. love to win, thanks for the giveaway. like the recipes. I have a recipe for an almond raspberry scone using only almond flour. I don’t buy store bought but blend my own almonds to make the flour so this would definitely be my first blend. I have never made muffins in a blender, so I think that is what I might like to try first. What wouldn’t I make?!? I would start with a protein smoothie for me and these muffins for my daughter. JIUCES. SMOOTHIES. THIS RECIPE YOU HAVE FOR MUFFINS SOUNDS LIKE A WINNER TOO! I would make smoothies all the time. Oh…the options are endless! Have been wanting a quality blender forevvvverrrrr! I’d start with Breakfast Smoothies! Yum! Thanks for this awesome give away! I make smoothies everyday so i would start from there and then the sky is the limit I guess. It’d be a toss up between smoothies and salsa at my house. I’d like to make some soup! I would love to give these muffins a try! And of course smoothies! Smoothies, smoothies and more smoothies AND those delicious muffins,of course! I would make LOTS of banana ice cream! I am totally addicted. I would make smoothies! And those muffins look pretty yummy, too!! These muffins would be a good start! Batters, smoothies, soups, gravy, and sauces! would love a blendtec to make some smoothies! These muffins look really good but I also love to make smoothies and batter mixes and this would be perfect. Smoothies, soup, ice cream, dressing, sauces, muffins, cookies…I’ve been drooling over this machine for a while! I would make protein shakes and probably try your muffins as well. Thanks for the giveaway. I know I shouldn’t be saying this but…Margaritas…Oh I already miss summer! Thanks for the chance to win! I would love a bkender that is powerful enough to make green smoothies with ease. I know my family would also love to try those muffins. I would make margaritas, smoothies, milkshakes, chocolate malts, and batters for cakes, brownies, cookies, and yes, those peanut butter banana muffins you posted. Those look so yummy! I would make frozen banana ice cream. Would LOVE to win this blender! We use ours every other day and it’s starting to smoke a bit. eeks..
I’d make smoothies, soups, no-oil salad dressings, almond milk, sauces…… and I’d give my Vitamix to my daughter! Those muffins looks delicious. And I’d love to make some green smoothies. My current blender is so pathetic that it just can’t blend well. And a chunky green smoothie is nasty! I’d love to be able to get myself and my family to eat more veggies and this would be perfect. i would make the muffins. they look geat. So many things – baby food and smoothies!!! I’d love to make pumpkin pie using the blender! smoothies!!! and now those beautiful yummy muffins!! Green smoothies and ice cream! First recipe in my Blendtec would be this awesome looking muffin recipe! I know my kids would LOVE them!!! I would attempt a blueberry muffin recipe. I would try the muffin recipe, and lots of smoothies too! What wouldn’t I make?!? My blender just broke. Smoothies and everything else I can dream up! I would probably make smoothies. I am trying to get my family to eat more veggies, and if I could hide them in a smoothie, everyone wins! I would make those pb banana mini muffins and add the mini chocolate chips plus white chocolate chips. I also love making green smoothies! Yum! I would love to make soup! Strawberry smoothies would be the first thing I would make! I love frozen drinks! I need this blender!! let’s see . . . soup, smoothies. . . . . .
We love smoothies in our house. Would love to try out some new recipes. I would start out with making a really yummy smoothie! I’d love to make some smoothies and milkshakes. Smoothies and maybe margaritas to enjoy during the football game! I would love to make smoothies! I make an avocado one everyday for lunch! We love smoothies! And this looks like a blender that could handle the job. I would like to try one. I would make muffins, smoothies, sauces, just about anything that needs to be mixed. smoothies with yogurt I think this blender will definetely will blend it really well and muffins all kinds I love to bake and my kids love them! I will start with fruit and vegetable smoothies, yuhmmm! I would love I have a new blender to make some smoothies in! My current one was bought on the clearance rack at Target and I haven’t been able to replace it yet. Homemade tomato and basil soup. Yum. I would love to make a yogurt and fruit smoothie. I would love to make those muffins!!! I would give your muffins a shot. I’d love to make these muffins or smoothies or soups or just about anything! I’ve wanted one of these for so long! I would make smoothies…and try those muffins, they sound delish! I would make lots of things but smoothies for starters! I HAVE to make these muffins but don’t have a blender! I would love to make a variety of pancake batters in this, also I think it would be great for crepe batter! This looks like a great blender! I’d make smoothies! Would I be limited to just one thing?!?! I would make some muffins for breakfast, a smoothy for lunch and wrap up the day with a delicious soup! I would like to make a smoothie. I don’t know but I would have fun whatever it was. Smoothies and other yummy things! I would make smoothies and quick breads. I would like to make soup – I’ve heard wonderful things about how great of a job it does with soup! I would love to mix up those banana muffins in this blender and that delicious sounding cinnamon coffee cake (but I’ll still use it for smoothies too)! 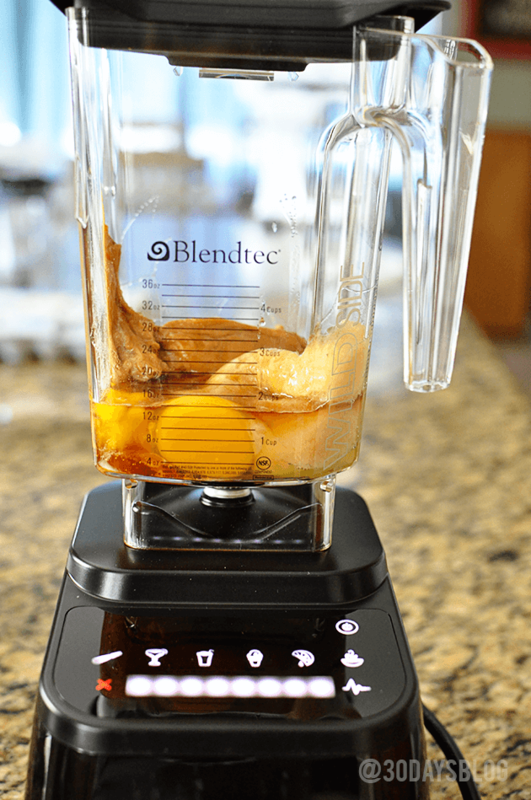 I would challenge the Blendtec Designer Series Blender to show why it is still the best Blender in the marketplace by preventing me from getting the best results on anything I am blending. I would use it to make some adult beverages. Oh definitely some banging Vanilla strawberry milk shakes and fruit smoothies for me and my four girls!!!! Oh definitely some banging milk shakes and fruit smoothies for me and my four girls!!!! My husband and I live on Strawberry, blueberry, protein powder, yogurt and milk smoothies every morning. I would definitely whip up some muffins to go with that. I would make these muffins. I crave one right now. And while they are cooking I’d whip up a peach smoothie. Yum! I would make muffins and smoothies! I would make TONS of stuff with a really good blender, and in particular veggie and baking dishes :p. My poor blender is dying, so I need a new one! I would make strawberry banana smoothie! Yummy! Mique I love your photo of the muffins… breathtaking for a muffin photo :) And that blender looks perfect… now I have something to add to the wish list. I would try these tasty muffins first! Smoothies, soup, your peanut butter muffins and more! i’d make protein smoothies every morning! I would make lots of desserts with my daughter who’s been dying for this blender for the longest time! she loves baking and i wish i could get it for her! Hello, I would love to make a cream of pumpkin soup with the blendtec. Thanks for a great giveaway! Smoothies and soup would be on the top of my list, but I can’t wait to see all that it can do! My special start the day drink.Consisting of, apples, bananas, blueberries, celery, parsley, pineapple juice, cinnamon, and protein powder! I had no idea you could make muffins from a blender lol, wow, okay so now I totally want to try that recipe! I would make every recipe in the “Eat to Live” nutritarian cookbook. I think it would be super fun to try making healthy ice cream in a blender. Yum. I’d do green smoothies daily! But I’m super stoked on the soup and icecream ability! I would definately try these muffins and of course the Pumpkin Pie Smoothie!! I would make various soups more quickly with this great blender. a Peanut Butter Banana Milkdshake! I would love to win this blender!! I would make smoothies and shakes and maybe so much more. I am sure there are so many possibilities! Thanks for the opportunity!! I would love to try these with a Blendtec Blender! Maybe I will get to someday. I have a stack of smoothie recipes waiting on this blender! Well since I don’t even own a blender, the things I could make is unlimited. However, these muffins and any flavor smoothie are on the top of the list! oh man…i have always to make my own peanut butter. that way it would fresh and would not have all the other stuff in it that i don’t need. I would make everything! Especially smoothies! I’d make a green smoothie! I love making Smoothies and freezing the rest as popsicles for a healthy treat! That is probably what I would make first with a blendtec. Your muffins look delicious!! Can’t wait to make muffins, muffins & more muffins & perhaps a few smoothies too! I whipped these together in one bowl a few nights ago (I didn’t want to pull out my blender, plus its super old and really really craptastic, meh.) and they came together quickly. My batch made 24 minis and two full sized muffins. I split the mini’s into two pretty boxes affixed with a pretty thank you tag and gifted them to my bosses for boss’ day! i then ate one full size muffin straight out of the oven and the other the next morning for breakfast! yummy, quick, and a HUGE hit with my bosses and their families!! thanks for sharing!! Those muffins look delish! If I won, I would be making a green smoothie EVERY morning! Most of the year I live in Korea and cannot get natural peanut butter so I make my own and this blender would certainly speed things up. I would love to use this to make Spinach and Artichoke Dip! I would make some killer smoothies!!! these muffins exactly because they look and sound heavenly, but I may try to add some protein powder because that can never hurt! Or maybe almond butter instead of peanut butter. I would make these muffins but add pumpkin! I <3 everything fall!!! I would love to do milkshakes or smoothies for those mornings when it’s just grab and go! I don’t currently have a blender! I would love to make homemade Chocolate milkshakes! I would totally want to try and make a soup with a blender like this! I made those muffins last night, so good! I would love to make some nutrious green smoothies for myself. i would make daily smoothies better than jamba! I would make margaritas and have a margarita party! I’d make these muffins for sure! I havent had baked goods in 2 years but all the ingredients for this recipe check out. I wanna try it tonight. Thanks for sharing! I would make a strawberry/banana smoothy, then maybe some salsa! I would make these muffins. They sound so easy and delicious! I’m actually trying to make this recipe now but would love to have the blendtec to make it instead! homemade soups from fresh veggies! First thing I would use this for is a nice refreshing strawberry banana smoothie! I’d love to make the most amazing smoothies and milkshakes. Haha. Or, homemade roasted tomato soup! Smoothies and these muffins-they look amazing! I love smoothies, but my blender does not make everything smooth. ohhhh, i’d make so many things! probably smoothies & these peanut butter banana muffins!! thanks for the chance! What wouldn’t I make!! These muffins look incredibly yummy! Smoothies, muffins and so much more! What an amazing addition this would be to our kitchen! Would make lots of muffins. We would make smoothies every day with a Blendtec, but those yummy-looking muffins would be on the list, too! I would love to make lots of green smoothies for my family! I would love to make tomato soup! I’d like to make a Green Smoothie for my kids and myself! I am making your muffins and watching my blender turn the bottom & not the top of the ingredients!! I turn it off, give it a stir and fire up my blender again. I can not seem to convince my hubby there are better blenders out there for how much we do & would use it! HELP!!! (fyi the muffins did turn out fabulous!! thank you!) I would use the Blendtec for many more batches of these bad boys, including all the others like smoothies, soups, sauces etc!! The possibilities are LIMITLESS!!! I could easily make my after workout shakes, as well as weekend smoothie nights that much better. Not to mention the possibilities of whipping up sweet treats like these muffins anytime I please with so little clean up and mess! Smoothies will be the main thing that I know I would make. I am sure once I received it, I would be a “blending” queen! Wow. These R my favorite ingred….who can argue with fast? So I would try these first. Then-crapes; you need a smooth, silky batter. I could really use a good, modern blender. With the blender I would make smoothies! Since it’s quiet I would finally be able to make smoothies without waking all of my roommates. I would make this recipe and smoothies galore! Banana smoothies! Our family loves them, but they take a powerful blender to make. I would love to make smoothies and these muffins! Those muffins look good and I would also save a small fortune by making my own smoothies in this Blendtec. I would make smoothies and these peanut butter banana mini muffins! Delish! I probably wouldn’t make anything, but my husband would make just about everything! He is obsessed with the bledtec and would die if I were to get him one! Popovers. I’ve always wanted to try to make popovers. I definitely would try these muffins, but I also would want to make soups and sauces. First I would make the great muffins you gave the receipe for – my husband love both bananas and peanut butter! I would love to get up every moring and make a smoothie or muffins to pop in the oven fresh for breakfast! I would love to make smoothies – my blender just isn’t cutting it! I would love to try these muffins in the blender or smoothies! I would like to make peanut butter!! Yum!! The muffins would be the first recipe! Followed quickly by smoothies and soups! I’d love to try your muffin recipe, for starters! Then the task of creating healthy smoothies for my picky kids! The first thing I would make would be hollandaise sauce because my mom loves eggs benedict but I hate making hollandaise sauce by hand. Thanks for the give away! Oh my those muffins look good. I will have to try the recipe today. Our loud blender usually makes smoothies in the morning. Never thought about making much of anything else. I will have to check out the website for recipes. I’ve been wanting one forever!! I make green smoothies daily for a family of 8. This would be perfect! The muffins look awesome and so does the blender! I would love to make some delicious protein shakes with it. These PB Banana muffins would be the first on my list. Also, with two little ones in our household, smoothies would be a no brainer!! I would make smoothies galore!! I’d love to make some delicious green smoothies…and SOUP! I would love to make icecream bread,muffins and smoothies!! I would make healthy Smoothies for my family. We LOVE banana “ice cream” in this house! I’d make ice cream, cake batters, juices, soups and smoothies…in that order, and probably daily! Pesto, soup, sauces, and these muffins also sound great! I would try all sorts of muffin recipes and smoothies. Muffins in a blender?? I am totally game on trying that! Would love to make creamy soups and salad dressings! I would love to try this for baby food!! How Exciting! Yum, that sounds delicious! I like to make smoothies for a quick breakfast. would love to try to do baked goods! I would definitely start with our green drinks (smoothie/juice – depending on the variation for that day). I would follow that up with your lovely 5-ingredint muffin recipe. Ever since transitioning to a more plant-based, even raw (on many days) lifestyle, I’ve found my blender is my best friend in the kitchen. We make everything from soups/gazpacho’s, to a variety of green juices and smoothies to baby purees. And because we add alot of nuts and grains, this would be great for chopping seeds and nuts, as well.. This would certainly help us in our quest to not only maintain, but continue to move toward all-natural, whole “earth” foods while making food prep that much easier. I would love to make a green smoothie, first! I would absolutely love to try your 5 Ingredient Peanut Butter Cookies in my new Blendtec! I also was smitten when I first heard about Blendtec. I’ve visited the Blendtec website and see MANY recipes that sound awesome. We love green smoothies and a Blendtec would make them even better! I’d like to try making veggie smoothies. Thanks for a chance to win….I’d make my grand girls smoothies and shakes and soups Etc. Why you ask, I say why not. But is it wise to have an kitchen appliance that is worth more than my car? I’d make everything! I would love to make homemade baby food for my new little son! I would LOVE a Blendtec to make yummy fruit smoothies! I would make a chocolate shake! I would love to make some smoothies and I’ve heard they can blend wheat! I really want to try that. Smoothies, cookies, muffins… The sky’s the limit! I would make frozen sorbet! i want to make squash soup! I first thought I would say a smoothie, I make one most mornings with frozen berries, yogurt, oatmeal & flax seeds. I use an immersion blender & struggle due to problems with my hands. My husband says use the blender. Our blender is so old it’s even harder. Your muffins are changing my mind though, have muffins whipped up in minutes, bagged in the freezer ready to pull out fresh every day-muffins bananas, peanut butter & chocolate? Yum! My mom has one of these too and they are amazing! I would make smoothies, juices, and definitely try these muffins!!!! The first thing I would make if I won this blender would be a chocolate milkshake. I’d start with making these mini muffins then I’d make some tomato basil soup. 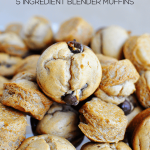 I would definitely try these five ingredient Blendtec blender muffins because I would literally eat peanut butter at every meal if possible…and I would make smooth soups and smoothies all the time!!!!! I would love to win a Blentec! I would make homemade peanut butter, these yummy muffins, smoothies and homemade dog biscuits to start with! Thanks for the opportunity to win!! so sorry…that should be Blendtec! My fingers move faster than my mind sometimes…lol! I would love to try making the muffins! I would also make lots of smoothies that my family is so fond of! Those muffins look quite yummy. I would totally make those in addition to some banana peanut ice cream. Yum! Oh the smoothies I would make. The first thing I would make, given the time of year, would be either golden carrot soup or butternut squash soup-thanks! I would love to make these 5 Ingredient Blendtec Blender Peanut Butter Banana Muffins!! I would love to try the muffins along with protien smoothies since I am now eating healthier and working out. I have seen alot of the personnal trainers use these blenders to make their own smoothies and they rave about them. I would make smoothies with a new blender! I would love to make smoothies, and try this muffin recipe!! I find making baby food in large batches with a blender is awesome! I would make easy work out of my holiday baking list! I would love to make those muffins, but also would love it to blend soups for the winter. I’d give these muffins a go first, but I am dreaming of pesto possibilities. Would love this! I was just telling my husband that I wanted one so badly! I’m a vegan and I would love this to prepare healthy foods and breakfasts for myself and my family! 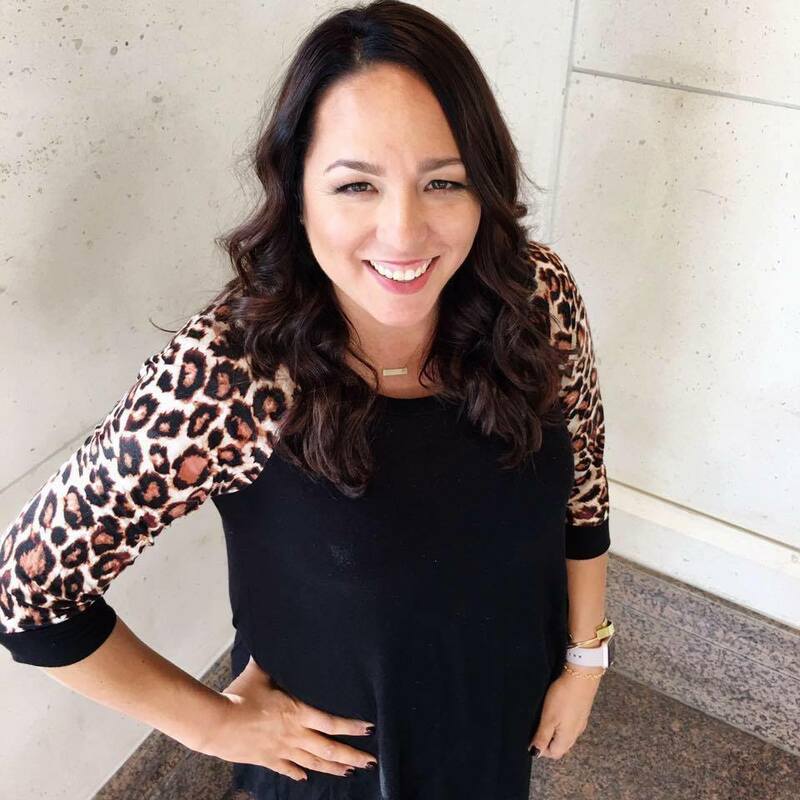 Thank you for the opportunity to enter to win! I would love to try the muffins first. I use a blender to make smoothies. If you try this recipe, make sure you bake them long enough. I made a recipe similar to these a few weeks ago and they tasted very egg-like because they probably needed a few more minutes in the oven. Everything and anything I possibly could! Those muffins look super yummy! I would love my own blend tec so I could make awesome green smoothies with no chunky bits! Starting with this recipes you mean? I would love to make smoothies and orange julius’ without chunky ice!!! Oooo! I’ve been wanting a BlendTec so bad! They really are so versatile! Would love to try this yummy muffin recipe! My husband and I have been trying to eat healthy and part of that is making smoothies in the morning. I have a slightly long commute so these are perfect for on the go! Well our blender just currently stopped working….we must have made too many smoothies!….We would use it for smoothies, soups, dips, MUFFINS!….we use(d) our blender for a lot of things and have been wanting to purchase the Blendtec but it is just too expensive right now. Love this recipe! hummus…my blender just doesn’t have the get-up-and-go- to get chick peas smooth enough for hummus. Of course I’d do my daily smoothies. Make oat flour out of oats. Maybe try my hand at nut butter with almonds. I would make smoothies. I broke my blender a month ago and we miss smoothies so much! I’d love to make these muffins! My blender broke, so I’ve been cramming everything into our magic bullet or using an immersion blender, but I still need a big blender for bigger batches. Smoothies, fresh Popsicles for little one, baby food. Smoothies, they are great when on the go. I would love to try your banana muffin recipe or maybe some fresh salsa or hummus! Probably a smoothie or soup, maybe these muffins since I have all the ingredients!! Great contest. I would love to make these muffins. I would also like to make green smoothies; my current blender can’t quite take the greens. Great contest! I’d love to try all sorts of things it. Soups, smoothies, salsas. I’m sure it would be amazing. I would love to make hummus in this Blendtec Blender! I’d use it to make smoothies, soups, and the freezer jam recipe from Blendtec’s website. I would make a green smoothie, which I have been wanting to do, but our current blender just cannot handle greens…I’m craving one, however! Thanks for this giveaway! I’d love to make smoothies for my kids and soup for fall dinners. I would definitely have to make these muffins! I would make smoothies, smoothies, and more smoothies! I’m lucky enough to have a Blendtec. So I’m entering for my daughter who uses mine to make smoothies. I would make some smoothies, our blender is broke! I would love a Blendtec for smoothies. I would love to try making these muffins they look good, Also I would love to make green smoothies. I love to cook and bake… and I could see myself making these muffins! I would love to try these muffins and then some healthy smoothies! I would definitely make those yummy looking muffins! I would make muffins, soups, and best of all green smoothies! I cant wait to make those muffins!! I would make smoothies all the time! I’d love to make all sorts of soups. Gallons and gallons of soups! I’d can and freeze and share with family and friends! Smoothies and nut butter. 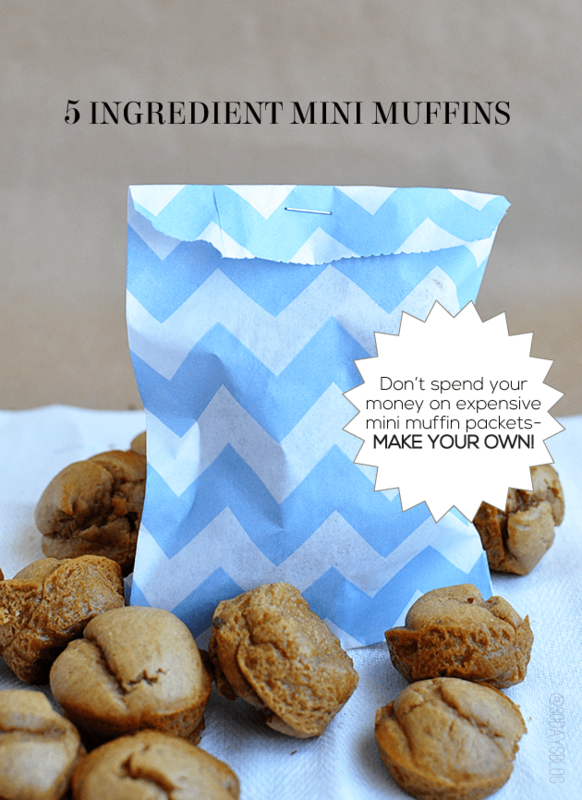 With that said, I’m sure the kiddos would love your muffin recipe! I’d make a big batch of pancake mix to stock my freezer with pancakes for quick breakfasts in the mornings. I want to try those muffins! AMAZING! These muffins look like they have flour! Beautiful! I would make a yummy fall soup! My sister has a Blendtec. I love making their pancake recipe with my niece. That would definitely be a favorite. If also love to try crumpet and Yorkshire pudding batter in a Blendtec! Salsa! My processor broke and the blender I have is older than life itself and leaks everywhere! I would make oatmeal banana muffins. I would make healthy foods for my husband and myself. Looking forward to new ideas and smart options. I would love to make a variety of smoothies, sauces and your muffins. I would probably start off with this yummy banana muffin recipe, but consistently make smoothies! Thanks for the yummy recipe idea! I would use it to make muffins, soups, puddings, actually I would try a lot of new things ! I’d finally get around to making smoothies! I have always DREAMED of having a BlendTec but unfortunately with a new baby and hubby in school, we don’t have the money for one. I know that I would use it for so many things – soups, smoothies, baby food, salsa, and all my favorite recipes. I’ve only heard good things about BlendTec and would be in heaven if I got one! I’d love to make strawberry banana smoothies!! I would love to make these muffins, my favorite delicious spinach soup, smoothies, or any number of things! I’d make salsa and soup with my Blendtec. These muffins really look good! Gluten free bread for starters! Smoothies! We love smoothies and it takes for-ev-er in our old blender! Clearly these muffins would be the very first thing I make. Then I would get on Pinterest to find easy recipes like this one. My mother has a Blendtec and I have been coveting it for years. If I had a Blendtec, I would make soups, guacamole, freezer jam, milkshakes, whipped butter, salsa, crepes, hot chocolate, salad dressing, marinades, smoothies, fruit leather, and OF COURSE muffins. We live on smoothies and can’t wait to try this Blendtec! Our blender just broke, so the timing of this give away is perfect! Thank you so much for the chance to win! I would love to make those muffins, they look delicious! I would love to make smoothies, cookies, muffins, everything with a new Blendtec Blender. I no longer have a big blender and my bullet type smoother mixer is on it’s way out too. Hope I win! :) The muffins look fabulous by the way!!! I’d like to make soups in my Blendtec! Smoothies of all kinds! Fun giveaway! I would love to make some dairy-free, sugar-free coconut vanilla bean ice cream in the blender! I have a blender recipe for yeast rolls that I’d love to try with this Blendtec blender. It would make lbaking so simple! I’d be so excited to win this baby! I would love to make your muffins. They look yummy! I also would love to make smoothies with the blender. Would love to make smoothies in this thing – my Magic Bullet (piece of junk) is falling apart big-time and I’m desperately in need of a new blender! I would love to make smoothies, muffins, pancake batters…..I would just love to make anything! Those muffins look really good, so I think I would start with them! So many soups and smoothies! I would love to try and make a great Fall inspired soup! I have wanted one of these for FOREVER!!! I would love to make smoothies. For me but especially for my picky eater. She can’t handle any texture in her drinks so I need a great blender to get the smoothie super smooth. I have been wanting one of these blenders for a long time now! I would make my own nut butters, healthy smoothies, soups and now muffins! I imagine that there is a lot more that can be made in one of these awesome blenders! Thank you for having this contest! These muffins above look and sound great! I’d like to make my own nut butters! I would love to make soup with all the wonderful squash that is in season. I would love to try those muffins and smoothies. I would make our favorite cauliflower soup (its cold so I am thinking about soup!) Or protein pancakes. Muffins sound awesome. But I’m always making smoothies so this is sweet. This is seriously already on my Christmas list. How exciting would it be if I could use it early to make some holiday treats?!? I’d make my protein shakes and of course these yummy muffins! Everything!!! I would love to try these peanut butter muffins. My boys would live them. Smoothies are a favorite at our house so I know we would be mixing some up. Hope I win. Smoothies and those muffins of course! My mom has a blendtec she never uses. I would lovee to win one so I can show my mom all the cool things you can do with one. I would make everything in mine! I would love, love, love to make my favorite pumpkin bread! It’s the one thing I look forward to baking every fall. I’d start with my daily smoothies, but these mini muffins look like the perfect snack. Smoothies. And these muffins, of course. I would love to make smoothies, salsa and try these wonderful muffins! What a great idea! I guess I’ve been living under a rock somewhere…I had never thought to use my blender for things other than smoothies, margaritas, or milkshakes. It’s almost like a light is shining down from above showing me all the things I could make & where to keep this Blendtec beauty! I’d have to start small…probably your muffin recipe just to be safe. I would make better smoothies in a new blender; we are currently using our food processor because our blender died! Also, these muffins would be delish! muffins, smoothies, anything I can make that would be easy and healthy. I’m a diabetic so I have to watch what I eat. Those muffins look amazing!! I’ve really been wanting a blender like this to make whole food smoothies for my family. I would love to make smoothies and muffins! I would make smoothies. I never thought to use a blender for mixing ingredients for baking though! I will need to check that out! The question should really be, what WOULDN’T I want to make with that thing? I hate my blender. It is seriously awful, and I’ve wanted a Blendtec for forever. I would probably start with cheesecake. I’d love to try your muffin recipe! My husband would love it. Their site had a recipe for almond butter that looked good too! Well, your yummy looking and sounding muffin recipe for starters! Those muffins look yummy! I would definitely try that recipe and more smoothies around here as well.